Dr. Simon Cleveland joined Northeastern University in 2016 as a lecturer in the Project Management and Informatics programs. He has also taught at Georgetown University, Brandeis University, and City University of Seattle. Dr. Cleveland is a graduate of George Mason University and The George Washington University, with Bachelor of Science degree in Business and a Master of Science degree in Project Management respectively, and has a Ph.D. in Information Systems from Nova Southeastern University’s College of Engineering and Computing. He also holds certificates in Education and Big Data from Harvard University and Massachusetts Institute of Technology. He is certified as a project management professional (PMP), Certified ScrumMaster (CSM), Certified Scrum Product Owner (CSPO), Six Sigma Black Belt (SSBB) expert, and Information Technology Infrastructure Library (ITIL) foundations expert. 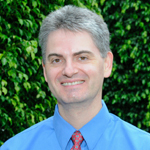 Dr. Cleveland is the author of over 30 peer-reviewed publications in journals and conferences. He is the associate editor for the International Journal of Knowledge Society Research, and is also a member of the editorial review boards for the International Journal of Information Technology Project Management (IJITPM), the International Journal of Information Systems in the Service Sector (IJISSS), the International Journal of Information and Communication Technology Education (IJICTE), and the International Journal of Smart Education and Urban Society (IJSEUS). Dr. Cleveland is a three-time recipient of the Dr. Harold Kerzner Scholarship which is awarded by the Project Management Institute Educational Foundation. Professionally, Dr. Cleveland has worked as technology manager, program manager and PMO Director for organizations such as MD Anderson Cancer Center, Department of Homeland Security, NASA, Accenture, and AOL. Cleveland, S. & Hinojosa, C. (2019). Complexity framework for the project management curriculum. International Journal of Information Technology Project Management, 10(1). Dawson, M., Walker, D. & Cleveland, S. (2018). Systems usability in developing countries: Case of computing use in Guinea. International Journal of ICT Research in Africa and the Middle East, 8(1). Offor, P. & Cleveland, S. (2018). Ontological analysis of an ERP implementation success and education: A critical system thinking approach. International Journal of Smart Education and Urban Society, 9(3), p. 1-16. Cleveland, S. & Block, G. (2017). Toward knowledge technology synchronicity framework for asynchronous environment. International Journal of Knowledge Society Research, 8(4). doi: 10.4018/IJKSR.2017100102. Cleveland, S., Jackson, B. & Dawson, M. (2016). Microblogging in higher education: Digital natives, knowledge creation, social engineering, and intelligence analysis of educational tweets, E-Learning and Digital Media, 2016, doi 10.1177/2042753016672130, p.1-19. Cleveland, S. (2016). Social media systems in the workplace: Toward understanding employee knowledge creation via microblogging within shared knowledge domains. Informatics, 3 (3), 11. Cleveland, S. & Ellis, T. (2015). Rethinking knowledge sharing barriers: A content analysis of 103 studies. International Journal of Knowledge Management, 11(1), p. 28-51. Cleveland, S. & Ellis, T. (2014). Orchestrating end-user perspectives in the software release process: An integrated release management framework. Advances in Human-Computer Interaction, 2014 (2014). Cleveland, S. & Cleveland, M. (2018). Toward Cybersecurity Leadership Framework. Proceedings of the 13th Midwest Association for Information Systems Conference (MWAIS), St. Louis, MO. Gould, D. & Cleveland, S. (2018). Evolutionary systems: Applications to cybersecurity. Proceedings of the 13th Midwest Association for Information Systems Conference (MWAIS), St. Louis, MO. Cleveland, M. & Cleveland, S. (2018). Cybercrime post-incident leadership model. Proceedings of the 13th Midwest Association for Information Systems Conference (MWAIS), St. Louis, MO. Dawson, M., Walker, D. & Cleveland, S. (2018). The Case for IT training within Guinea’s ministry of agriculture: Evaluating performance and usability. Proceedings of the 13th Midwest Association for Information Systems Conference (MWAIS), St. Louis, MO. Cleveland, M. & Cleveland, S. (2018). Toward understanding the impact of entrepreneurial leadership skills on community engagement. Proceedings of the 2018 International Conference on Innovation and Entrepreneurship, Washington, DC. Cleveland, S. (2017). On developing project complexity framework. Proceedings of the 2017 Americas Conference for Information Systems (AMCIS), Boston, Massachusetts. Moeini, M. & Cleveland, S. (2017). Towards increased construct clarity in IS project management research. Proceedings of the 2017 Americas Conference for Information Systems (AMCIS), Boston, Massachusetts. Hinojosa, C. & Cleveland, S. (2017). Organizational information dissemination within collaborative networks using digital communication tools. Proceedings of the 50th Hawaii International Conference on System Sciences (HICSS), Honolulu, Hawaii, pp. 4635-4644. Dawson, M., DeWalt, B. & Cleveland, S. (2016). The case for Ubuntu: Linux operating system performance and usability for use in higher education in a virtualized environment. Proceedings of the 19th Southern Association for Information Systems Conference (SAIS), St. Augustine, Florida. Cleveland, S., Hinojosa, C. & Ellis, T. J. (2015). Organizational knowledge exchange via unified communication services: A grounded theory approach. Proceedings of the 2015 Americas Conference for Information Systems (AMCIS), San Juan, Puerto Rico. Cleveland, S. & Ellis, T. J. (2015). The role of microblogging capacities in knowledge sharing and collaboration in virtual teams. Proceedings of the 2015 Americas Conference for Information Systems (AMCIS), Puerto Rico. Cleveland, S. & Ellis, T. J. (2015). Five SNS capacities that impact attitudes toward knowledge sharing. Proceedings of the 2015 SouthEastCon, IEEE. Long, D. & Cleveland, S. (2015). Toward a privacy model for social networking services. Proceedings of the 2015 SouthEastCon, IEEE. Cleveland, S., Mitkova, L. & Gonçalves, L.C. (2015). Knowledge flow in the open innovation model. Proceedings of the 2015 SouthEastCon, IEEE. Cleveland, S. & Ellis, T. J. (2015). The impact of role conflict, role ambiguity and locus of control on organizational knowledge sharing practices. Proceedings of the 48th Hawaii International Conference on System Sciences (HICSS), Kauai, Hawaii, pp. 3801-3810. Cleveland, S. & Ellis, T. J. (2014). Causal model for predicting knowledge sharing via ICTs. Proceedings of the 2014 Americas Conference for Information Systems (AMCIS), Savannah, Georgia. Cleveland, S. & Ellis, T. J. (2013). Toward a model for customer-driven release management. Proceedings of the 2013 Americas Conference for Information Systems (AMCIS), Chicago, Illinois. Cleveland, S. & Ellis, T. J. (2013). Determining microblogging effectiveness for capturing quality knowledge. Proceedings of the 2013 Americas Conference for Information Systems (AMCIS), Chicago, Illinois. Cleveland, S. (2013). On-the-job learning practices for IS students. Proceedings of the 16th Southern Association for Information Systems Conference (SAIS), Savannah, Georgia, pp. 16-21. Cleveland, S. (2012). Using microblogging for lessons learned in information systems projects. Proceedings of the 7th International Research Workshop on Information Technology Project Management (IRWITPM), Orlando, Florida, pp. 122-128. Cleveland, S. (2012). In search of user privacy protection in ubiquitous computing. Proceedings of the 13th International IEEE Conference on Information Reuse and Integration (IRI) 2012, Las Vegas, Nevada, pp. 694-699. Burrell, D., Cleveland, S., Quisenberry, W., Quinteros de Czifra, M. & Barnard-Zaffino, M. (2012). Project management approaches for environmentally considerate strategic planning that balance organizational strategy with sustainable tactics at colleges. Available at SSRN: http://ssrn.com/abstract=2195530. Serving as the Guest Editor for the Special Issue on Cybersecurity leadership, education, and social justice for a secure digital world with the International Journal of Smart Education and Urban Society (IJSEUS) (2018). Serving as the Associate Editor for the International Journal of Smart Education and Urban Society (IJSEUS) (Since 2017). Serving as an Editorial Board Member for the International Journal of Cyber Research and Education (IJCRE) (Since 2018). Serving as an Editorial Board Member for the International Journal of R&D Innovation Strategy (IJRDIS) (Since 2018). Serving as an Editorial Board Member for the Journal of International Business Research (JIBR) (Since 2017). Serving as an Editorial Board Member for the International Journal of Information Technology Project Management (IJITPM) (Since 2017). Serving as an Editorial Board Member for the International Journal of Information and Communication Technology Education (IJICTE) (Since 2017). Serving as an Editorial Board Member for the International Journal of Information Systems in the Service Sector (IJSSS) (Since 2017). Serving as an Editorial Board Member for the International Journal of Knowledge Management (IJKM) (Since 2017). Serving as an Editorial Board Member for the International Journal of Hyperconnectivity and Internet of Things (IJoHIT) (Since 2017). Served as the Associate Editor for the International Journal of Knowledge Society Research (IJKSR) (2017-2018). Served as a referee for a paper submitted to Project Management and IS Development track in the 2012 International Conference on Information Systems (ICIS). Review was done in June, 2012.